We always thought that our backyard was national park material - until we spent some time in the Upper Engadine valley. 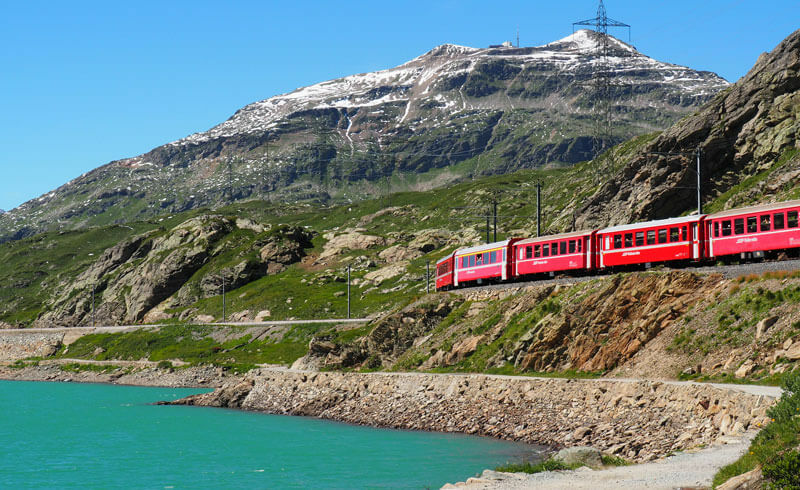 Those who lodge at a Pontresina hotel such as the Hotel Saratz can expect a free, unlimited transportation pass for all buses, trains and cable cars. This carte blanche is valid during the entire stay, so there really is no need to bring a car. Every two hours, exactly eight minutes after the hour, a train leaves the Pontresina station for Diavolezza. It is a brief yet exciting ride as the train gains altitude and appears to challenge motorized traffic on the nearby street for a race. 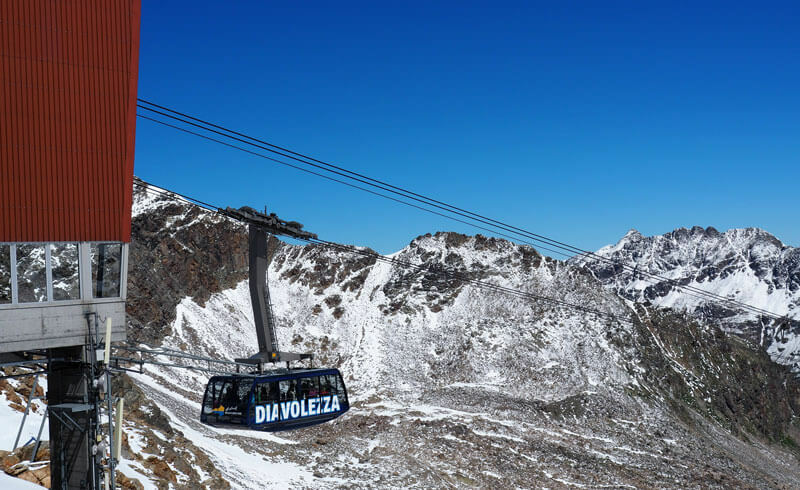 At Diavolezza, a cable car leaves for the summit as frequently as every 20 minutes. During our weekend in the Upper Engadine, the true meaning of "the journey is the destination" occurs to us. With all this beauty, who would want to be in a hurry? Once at the top of Diavolezza, do as everyone does and step on the panoramic platform to soak it all in. Once you have taken enough pictures, make sure to read up on the legend surrounding this place (it involves a she-devil). Finally, those with proper equipment and 2.5 hours of spare time can ascend even higher up from the Diavolezza summit station. The views from Munt Pers at 3207 meters above sea are supposed to be out of this world - quite literally. 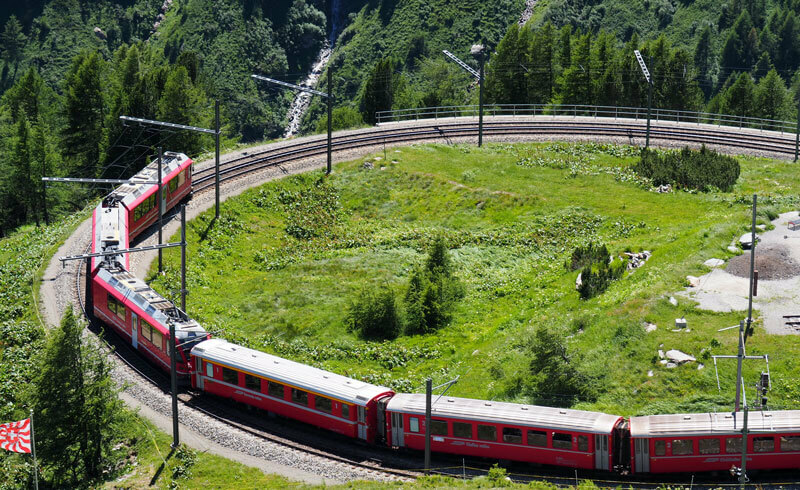 Again, embark on the same train or hop on a postal bus in Pontresina, but get off at the station "Ospizio Bernina". From this lakeside train station, look for the marked path down by the lake. 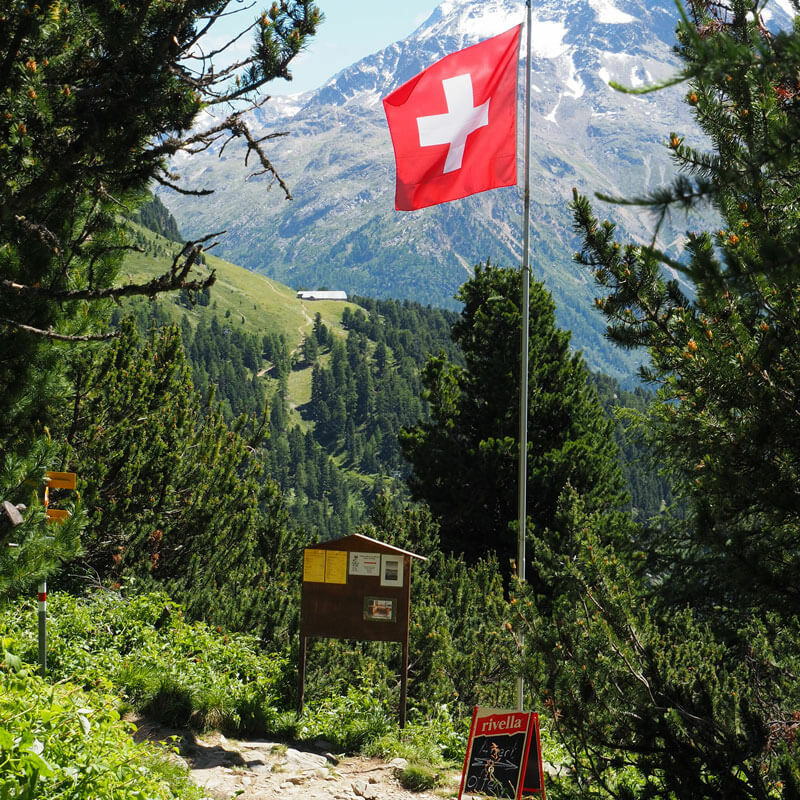 The hike to Alp Grüm is really smooth and full of breathtaking sceneries. We must have stopped every few steps to look back, up and around, taking dozens of photographs. We love train spotting, that's a fact. 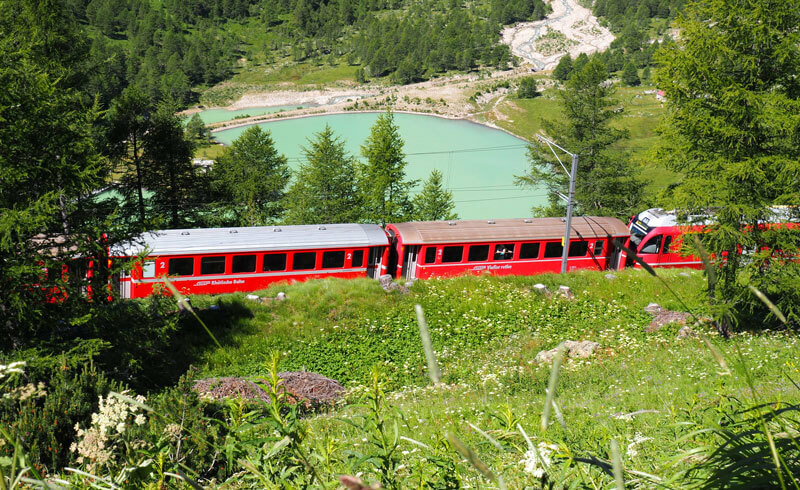 So, every time the unmissable red Bernina train passed by, we geeked out. What a cute sight! Once we arrived at Alp Grüm, the desire for a chilled Rivella beverage and a slice of traditional walnut cake surmounts us (ask for Bündner Nusstorte). The restaurant's outdoor deck is a perfect spot to rest and write a postcard to those at home. We kept this hike for the last day, because it is touted to be a highlight. 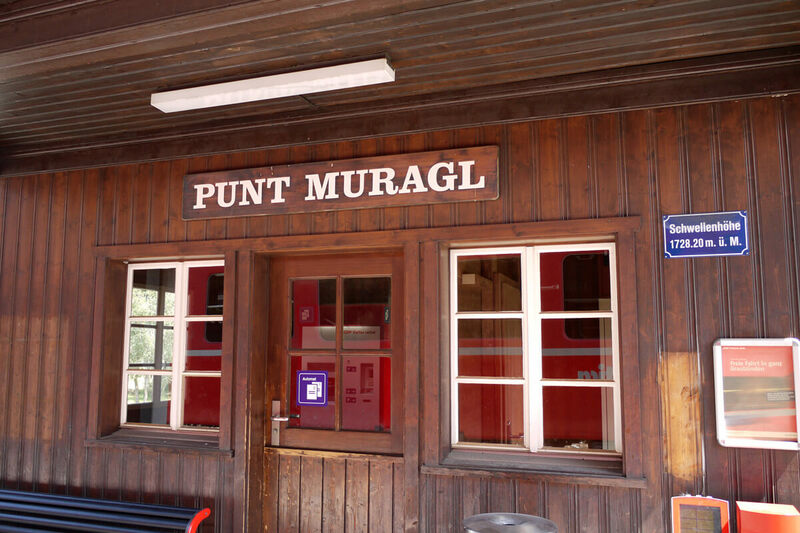 From Pontresina, we take the train to Punt Muragl, from where we hop on a charming funicular. The panoramic hike begins at Muottas Muragl at the top. But before we venture on, we grab a soup and salad for lunch, enjoying the spectacular views from this lookout point. A bit into the hike, past some old farms, the trail splits: Those with more time on their hands can trace the footsteps of the famous Austrian painter, Giovanni Segantini. The Segantini Trail picks up quite some altitude, so the views must be fantastic from high up. We add this option to our bucket list and move on along the panoramic trail to the left.